Survivor is a rock band formed in 1978 by Jim Peterik and Frankie Sullivan. Dave Bickler, Gary Smith and Dennis Johnson were the other members until Smith and Johnson were replaced with Stephan Ellis and Marc Droubay. Before setting up Survivor, Peterik was lead vocalist of the band Ides of March. The group's AOR (Album Oriented Rock) was very popular in the 1980s, especially in their native United States, where they charted several hit singles. They are best known for their hit "Eye of the Tiger", the theme song for the motion picture Rocky III in 1982. 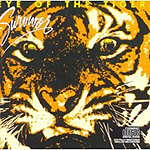 After recording "The Moment Of Truth" (# 63 US), the theme song of the box office smash hit "The Karate Kid" (1984), the band recorded their first album with Jimi Jamison. "Vital Signs" gave the band a massive comeback, peaking at # 16 on the Billboard Album Chart with the hits "I Can't Hold Back" (#13 US), "High On You" (#8 US) and "The Search Is Over" (#4 US). Due to its powerful songwriting and the emotional voice of new singer Jamison, "Vital Signs" is still praised by fans and critics alike as one of the best AOR albums of all time. In 1985, the band had another hit with "Burning Heart", the theme song of Rocky IV, when it peaked at #2 on Billboard's Hot 100. "When Seconds Count" was released in 1986 and included the hit "Is This Love" (#9 US). After the disappointing sales of '88s "Too Hot To Sleep", Petrik and Sullivan had no further plans with their band and Jamison a solo album, "When Love Comes Down" and continued to tour as Survivor. In 1993 Peterik and Sullivan re-teamed with former lead singer Dave Bickler, released a new 'Greatest Hits' album with two new songs ("Hungry Years" and "You Know Who You Are") and toured extensively. 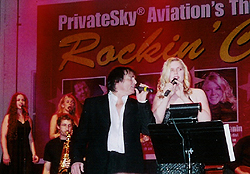 Due to the knowledge of Jamison also touring under the Survivor banner, Peterik and Sullivan filed a lawsuit against their former colleague for using their name. After years of processing, Jamison was granted the right to (also) use the name 'Survivor'. 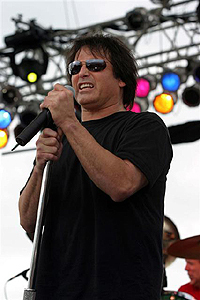 In 1999, Jimi Jamison released the album "Empires" under the name Jimi Jamison's Survivor (later re-released under his own name). It is heralded by many fans as a masterpiece of AOR. In 2006, Survivor released a new album called "Reach". Consisting of mostly new songs, it also includes some re-recordings from the "Fire Makes Steel" sessions. Two of the album's songs, "Reach" and "Fire Makes Steel", have been considered to appear in the upcoming Rocky sequel Rocky Balboa. On July 14, 2006, it was announced that Jimi Jamison was leaving the band and Robin McAuley would replace him on lead vocals. The current lineup is a mix of old and new members: Robin McAuley is on lead vocals, Frankie Sullivan is on guitar, Marc Droubay is on drums, and newcomers Chris Grove are on guitar/keyboards and Barry Dunaway is on bass. If only some of your solo singles could have done that! ”No kiddin’,”he laughs. It seems like you’re stepping away from the rock/pop euphoria of your past with these names? ”Well, it depends on the song. The Michael McDonald stuff can be pretty rocky. It might be time to do that though. I need to broaden myself a little bit, you know. I always wanted to be heavier. Every album I did outside of Survivor I always wanted to be heavier. I wanted more guitar. So, that didn’t work so I’m gonna try it this way now,” he laughs.